Domestic Sluttery: They Think It's Owl Over: is it now? Let's talk about something serious: OWLS. These feathered creatures have been flapping around our homes for ages now, and apparently showing no sign of flying away again. I had a little search through the Sluttery archives to see when they started to creep into our lives. Turns out it was back in the summer 2010 when we first wrote about owl clocks and earrings. By November of that year, we were already asking if this owl obsession was too much. But now it's July 2013, and I'm searching through some of my favourite online shops and what do I see? Owls, hundreds of owls. Will we ever have enough of them? Possibly not, with cute pictures like this doing the internet rounds, and this latest batch of owl offerings. Joy have expanded their homewares range - great news for fans of their cute clothes (i.e. just about everyone). How do you translate the delights of an acorn-patterned dress into an interior? 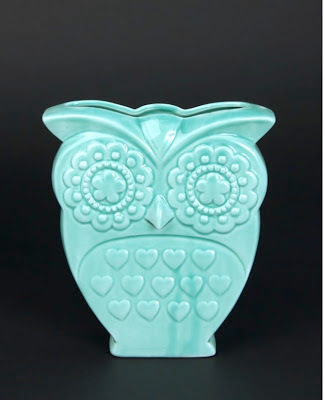 With an owl vase of course! It's only £12. 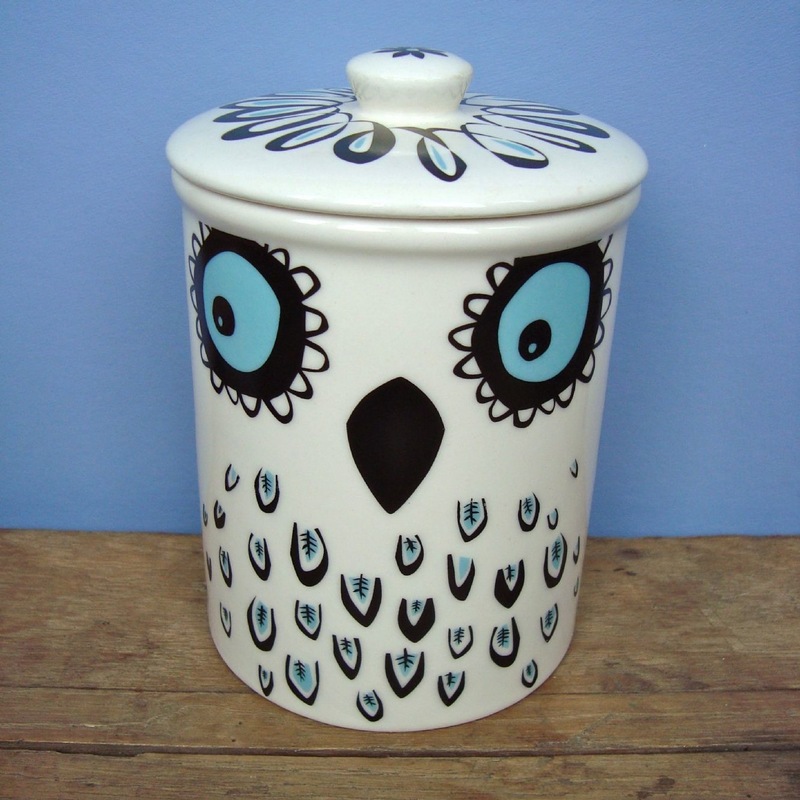 Hannah Turner was right at the forefront of our owl-related obsession - we featured her egg cups a few years ago now. But, if you have room for only one more owl thing in your home, I suggest it should be this owl storage jar. Available later this month, it's £29.99. Want an owl watching over you as you nod off to sleep? (Possibly not if you've watched any Twin Peaks.) 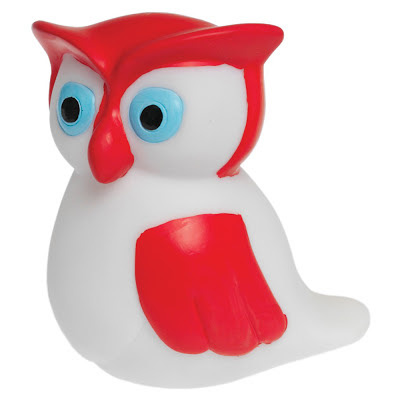 Intended for kids, at only 9cm high I'm sure there are many spots where this owl woodland nightlight could happily nestle. And it's only £3.95 from Hunkydory Home. 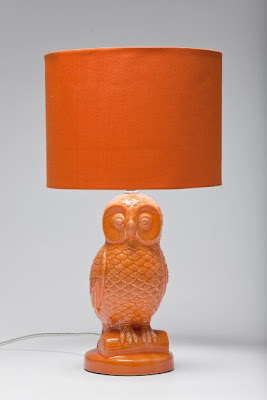 For grown-ups, I Love Retro are selling this magnificent owl lamp. This would be perfect in a library, inspiring the search for wisdom- or just by your favourite reading chair for those of us who don't live in stately homes. It's £89 via Bouf. Looking ahead, the trends seems likely to continue into the autumn with the release of Stephanie Dosen's Woodland Knits book. And, in the meantime, we can all work up her pattern for owl wrist-warmers. So, what do you think? 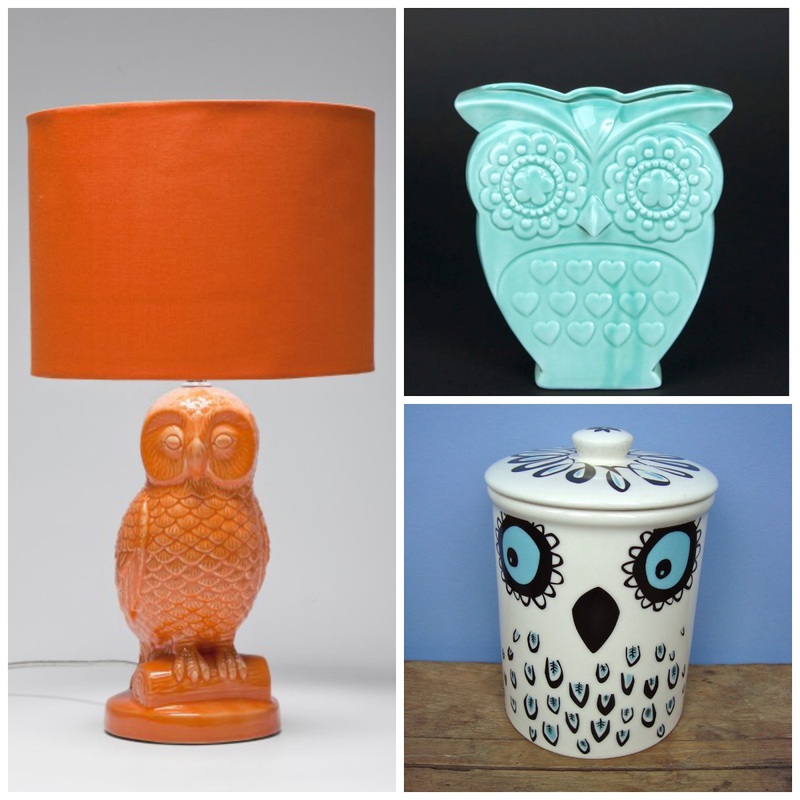 Do you still give two hoots about owls, or is it something you'd wish would now fly-by-night? Seconded. Also I am currently wearing an owl necklace, care of the lovely Ji Ji Kiki (who the lovely Sluts recommended the other week) and her mystery bags of jewellery, so I am definitely Team Owl. I am one of the owl-obsessed, and have (too) many owls at home already but I'm still looking forward to M&S AW2013/14 home collection, which will be full of owls (they have had many excellent owl vases and cushions in previous collections, I don't think you featured those).